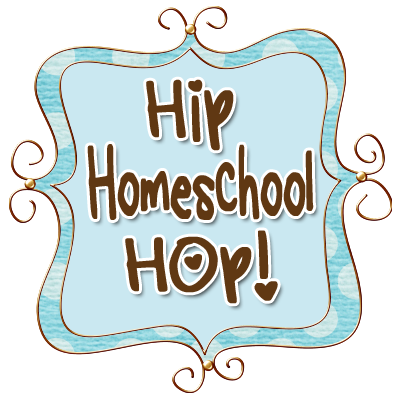 Resources have been included to help inspire FI♥AR Homeschool families in their "Rowing' journeys as well. Enjoy and comment! We would love to know what you are "rowing' too! What an awesome rowing week we had in class this week! Not that every week isn't super great when you're rowing, because it totally is! However, it rarely goes smoothly, according to my fabulously designed lesson plans ;) when you're dealing with funny second graders lovely children. This week though, went swimmingly according to my master plan - sweet! Our classic read this week was Harold and the Purple Crayon by Crockett Johnson. I remember my mother reading this one to me for years, what great memories for me and I hope we are making great memories for my students in the classroom too! They started the day with the butcher paper covering our table and then I wrote the book title "Harold-style" in the center. While I read the story aloud to the class, each child used their own purple crayon to draw illustrations from the story. Here Mr. Fix-it and the Scholar are diligently working on their art. The tabletop looked awesome by the end of our story. Here is the Bug's illustrations. We discussed the talents that God gives us. Like Harold's imagination, God wants us to use our talents to serve Him and to bring Him glory. We had a wonderful discussion about our talents and how we can use them as we get older. We enjoyed some Blueberry Muffin Tin Math. Why exactly they call them blue when they actually look purple? We did not have time to figure out all of that in class. What we did figure out was how to multiply by 3! We briefly discussed the various forms that water can take. Liquid, gas and solid . . . brrr, ice! We took our purple ice boats outdoors to see how quickly the ice would return to a liquid state. They were pleased to find their hypothesis correct when the purple ice turned our sailing water purple too. Little Miss is enjoying melting her boat with her group. It didn't take long, because as you can see from the photos, it was a fabulous day! We discussed antioxidants and the kinds of fruits and vegetables that have this wonderful quality. Then we prepared this low-sugar nutritional snack of Purple Pie (blueberries and blackberries) in mini pie shells made of won ton wrappers. We saved them for our Purple Party! Above are the decorations we used for our party. The kids drew the building illustrations with, guess what? Yep, their purple crayons. They scattered their buildings all over the classroom. We went outside at this point, eating up our purple pies. Well they tried, but most students declared it was "too healthy", so the Bug and I ate most of the pie! We played a Purple Memory game at our Purple Party. I filled a basket with 12 different purple items. The kids worked with a partner and had one minute to memorize the items. Then the items were removed and they had to work with their partner to write down all the items on paper. We also enjoyed a game of Purple Balloon Relay races. The kids would waddle to the line with their purple balloon between their legs. Then sit on the balloon to pop it, run back and tag the next person. As you can imagine, we had lots of Purple smiles (those of us who had pie that is) and a happy kids,dressed in purple on Purple Day! Just the Bug and Me! Same game as regular Pictionary, but with the purple crayon. We did a purple scavenger hunt outdoors while taking our Nature Study walk. She had to list how many purple items she could find in nature. There's more than you would think. Talent List: We sat a discussed the many God given talents that the Bug possesses. We made a list and then wrote down the many things she can do with those talents to bring glory to God. Then she made a couple of illustrations. We folded them up and put them in a purple envelope to put in the Homeschool Portfolio, that way she can look back and see how God has used her talents in His kingdom. What a neat idea! I always love Harold and his crayon. Thanks for sharing this!